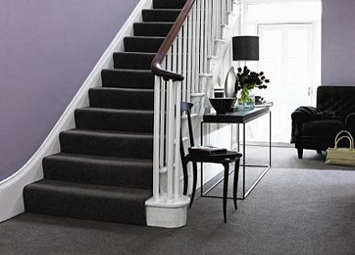 An a 80/20 wool mix twist is a smart choice for a Hall & Stairs, with unrivalled appearance retention, due to wools natural characteristics of bouncing back. Agood quality wool mix twist holds up well to the focused wear that you get up the centre of a staircase. 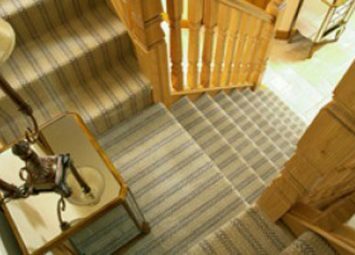 Available in a huge choice of colours from respected UK manufacturers such as Brockway, Penthouse, Cavalier and Hugh MacKay to name a few, a good wool twist is hard to beat for a Hall & Stairs. Polypropylene is a very cleanable and durable fibre so for those with pets or a young family it is a great choice. It doesn't have the natural "bounce back" of wool so to get best performance choose a twist with twin ply fibres which have greater longevity and mean a Polypropylene carpet needn't be an inferior choice to wool. 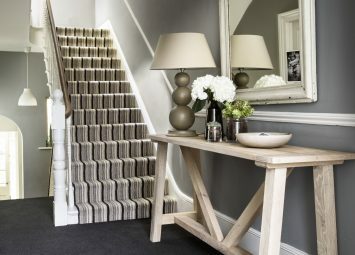 Who would have thought fifteen years ago that an unexpected trend set for stripy stair carpet by Crucial Trading with "Mississippi Stripe" would, so many years later, still be a top choice for stairs. Stripes can unify themes in adjoining rooms by using matching colours. Choosing a stripe with a smaller pattern repeat will mean your staircase plans more economically and the pattern will end up looking more effective. Stair runners are a very traditional choice dating back to the late 18th Century, historically they were secured with stair rods which look fantastic in a historic property. 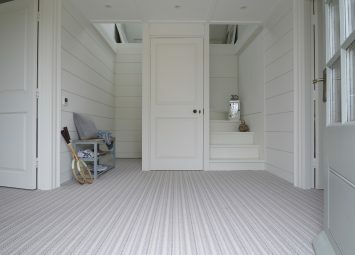 Today almost any carpet can be bound with whipped wool edging or cotton binding to produce a stair runner in your chosen width and style, stair rods are still available in a choice of designs but these days they are purely decorative which means a runner can also be fitted without them, giving a completely different appearance which is well suited to modern homes. 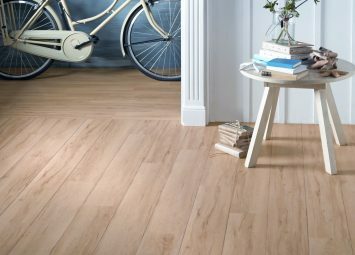 In most homes the staircase leads off of the hallway that serves the front door so the combination of a durable and easy to maintain hard floor in the hallway and carpet on the stairs and landing is an ever popular combination. Little Greene's intelligent emulsion is an incredibly durable finish that is ideal for a hallway and staircase, available in matt and eggshell over a range of beautiful classic shades. 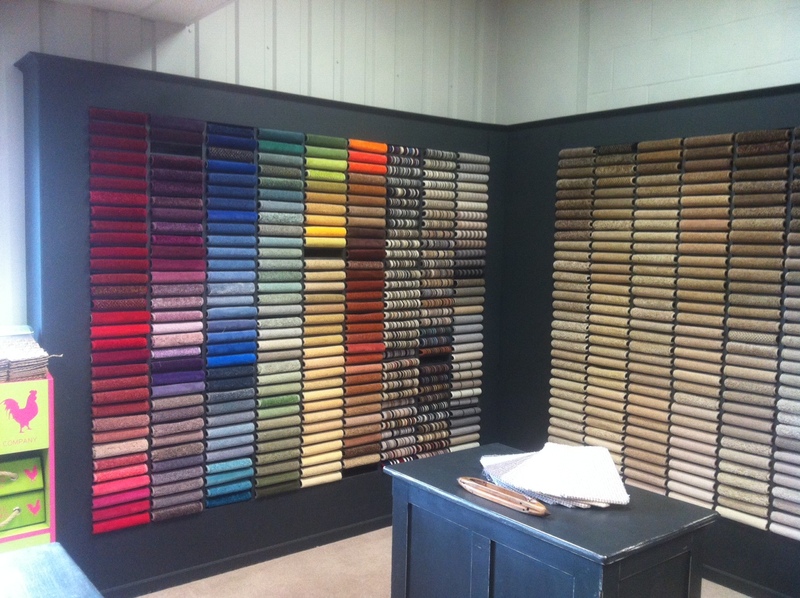 This wipe-able, low sheen finish is so tough it's what we use in our showroom.